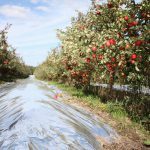 What is the difference between white mulch film, black mulch film, double color film, and color film? 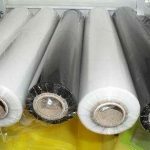 Home / TECHNOLOGY / What is the difference between white mulch film, black mulch film, double color film, and color film? 1, increase the soil temperature. 2, inhibit the dramatic changes in soil temperature. 3, improve fertilizer utilization, increase soil nutrients. 4, to improve the physical properties of the soil. 5, reduce water evaporation, reduce the humidity in the field, reduce the occurrence of disease, but also have significant water retention effect. 6, increase the light effect. 7, to prevent soil salinization. 8, inhibit weed growth, reduce pest damage. 9, to promote the early listing of crops. 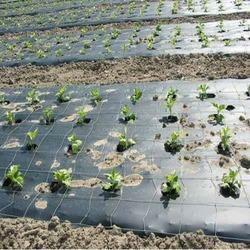 Translucent, ground temperature rise quickly, if the ground is not flat in the spring and summer, the transplanting seedlings is easy to burn, prone to weeds, the use of more common, to do good pre-emergence weeding. Thickness ranges from 0.015 to 0.02 mm. The low light transmittance can effectively prevent the evaporation of water in the soil and inhibit the growth of weeds. 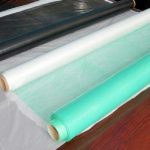 However, the temperature increase is slower than that of transparent films. Ground cover can significantly reduce ground temperature, inhibit weeds, and maintain soil moisture. It is mainly suitable for weedy clumps and vegetables cultivated in high temperature season (summer radish, cabbage, spinach, autumn cucumber, late tomato) and orchards. It is particularly suitable for high temperature cultivation in summer and autumn and can create good growth environment for crop roots, increase production. The thickness is from 0.008 to 0.015 mm and the width is from 70 to 200 cm. The light transmittance is about 60%, and it can reflect ultraviolet rays. The ground covers have cooling, moisturizing, and repelling locusts. It can increase the reflected light on the ground and helps fruit coloring. It can repel vegetables, melons and fruit locusts and whitefly, reduce disease, maintain water and soil and weeding functions. It is suitable for pest control and heat-resistant cultivation of vegetables, melons and tobacco in summer and autumn. At summer and autumn mulch is used to cover crops such as cucumbers, watermelons, tomatoes, spinach, celery, lettuce and cotton. It not only has good pest control but also improves the quality of these crops. 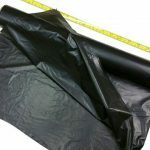 This is the black and white two different colors of plastic film. 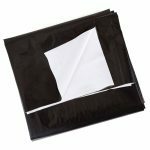 When the ground is covered, the black side is usually face down and the white side is facing upwards. It not only has the effect of black plastic film coverage, but also has the effect of white film surface reflection. It is suitable for ground cover cultivation of greenhouse vegetables in autumn and winter, especially for eggplant vegetables, the best cultivation effect. Thickness is 0.02mm, higher cost price. 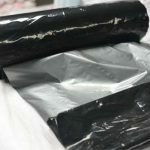 In low light conditions, the light transmittance is higher than that of white agricultural film, but under strong light conditions, the light transmittance is lower than that of white agricultural film, and the heat preservation performance is good. 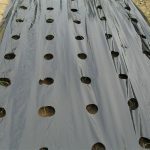 It is suitable for raising seedlings and raising seedlings. It not only has a high seedling rate, but also has thick seedlings. It can inhibit the growth of black spot pathogens of cruciferous vegetables and has obvious effect of increasing production and quality. It is very suitable for rice breeding and can also be used for the cultivation of vegetables, cotton, peanuts, strawberries, potatoes and other crops. It can increase the amount of green light, control weed growth, control weeds better, and increase production. It is commonly used for the cultivation of vegetables, eggplants, sweet peppers, melons, strawberries, and other cash crops. Can transmit red light, while blocking other shades that are not conducive to crop growth. Therefore, the need for red light such as rice, corn, and sugar beet can be satisfied, and the crop can grow vigorously. It is mainly suitable for rice, beet, amaranth, cucumber and other crop coverage. Many years of practice have proved that the rice seedlings cultivated under the red agricultural film grow vigorously; the sugar content of the sugar beet increases; the leaves of the Chinese chive are thick and fleshy, the harvesting period is advanced, and the yield is increased; the carrot can increase the yield. 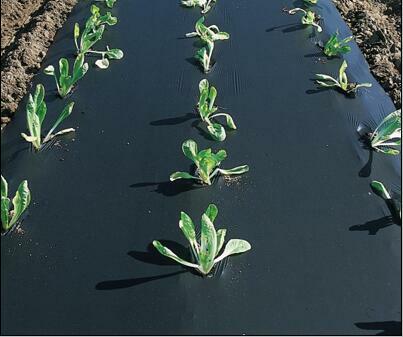 A certain amount of herbicide is added into the membrane to kill weeds. Because herbicides have strict selectivity to crops, if they are used wrongly, they will cause phytotoxicity to the crops. 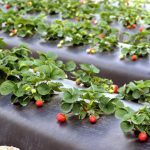 Therefore, special mulch film should be selected according to the type of crops, and should not be used blindly so as to avoid loss of production. Generally suitable for use in lots of weeds.